They add beauty to any garden and taste to any dish. It is Lupins that we are talking about. 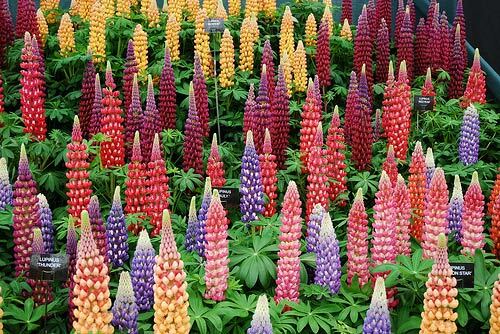 Read on to know what are Lupins, when to plant lupins outside, their history, health benefits and how to grow them. When Do Lupins Flower Bloom? Lupins are tall perennial plants consisting of spiky flowers. A leguminous plant, Lupins are a member of the legume family Fabaceae. Lupins are also known as Lupinus or Lupines. It is also known as “Wolf Beans” which probably alludes to the Roman word “Lupus” wherefrom Lupin got its name. 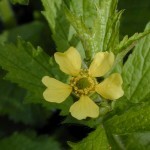 The name may also be an indication of the fact that the plant can thrive in remote areas where wolves stay and roam. There are approximately 200 to 600 Lupins varieties. Most of these are perennial plants that can grow anywhere between 1 and 5 feet in height. However, there are exceptions in Bush Lupins that are about 10 feet tall and a Mexican variety that rises to more than 20 feet in length. There are both bitter and sweet forms of Lupins. Sweet kinds of Lupins are found in North America while bitter varieties are seen in Mediterranean regions. 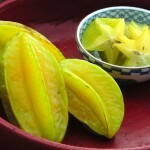 The taste of the plants depends on the alkaloids contained in them. 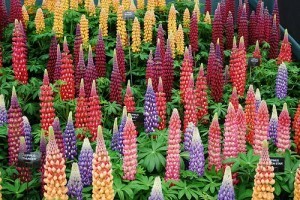 Lupins can be of many colors. Wild Lupins are usually purple or rich blue in color. 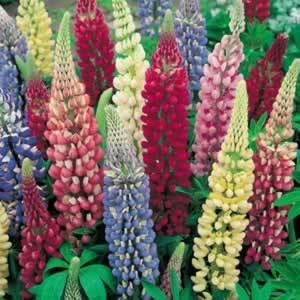 There are also tall Russell Lupins that bring forth red, white, blue, cream, carmine and pink flowers. In some types of Lupine yellow flowers are also seen. 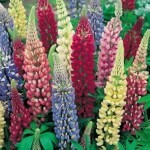 A dwarf variety of Lupin known as Minarette consists of a number of colors. The Lupin plant is believed to have originated about two thousand years ago in Egypt. 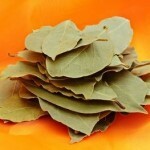 Thereafter, it spread to other nations by cultivators who recognized the beneficent powers of this plant. Lupins were grown as a crop by both the Egyptian inhabitants and the Incas. The leguminous nature of these plants made them highly favorable for farmers and botanists of early Roman era who used the crop to prevent soil depletion. Lupins were widely grown in the Mediterranean region for about 2,000 years. It was in the late 18th century that Lupins came to European soil by the efforts of Frederick the Great, the King of Prussia. 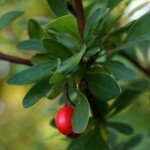 The plant was cultivated widely across the Baltic regions which provided the perfect breeding ground to the crop due to the sandy, acidic soil. It is said that sweet varieties of Lupins were first produced in the early 20th century by breeders in Germany. Sweet Lupins became a popular part of European cuisines from this time. However, it is Australia that now ranks first among nations involved in sweet Lupins productions in the world. Lupins were first introduced in this country in the 1800s by botanists Richard Schomburgk and Ferdinand Von Mueller as a fodder crop and a green manure. 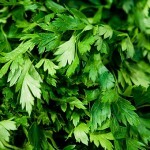 In present times, USSR has become the biggest producer of this plant. Lupine plants are also widely cultivated in East Germany, Poland an Eastern Bloc nations. Lupins are used for various reasons. 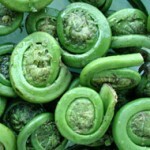 They can be used for human consumption and also served as food to livestock and poultry. Lupinus has been used as food for a long time. The bean pods of Lupins have been cultivated since early days to use as food. Lupin dishes were popular in the heydays of the Roman Empire. Members of native tribes in South and Native America used to soak Lupin beans in salt water before eating them. These are grown even today as a Soy substitute. Lupine flour, used in bread products and pasta, is high in protein and is highly nutritious for human body. This is one of the main health benefits of Lupins. Lupine oil is edible oil extracted from Lupin seeds and used to manufacture technical as well as edible refined oil. Several varieties of Lupin plants are cultivated to feed livestock and poultry. However, Wild Lupins can be harmful for the health of cattle. Lupins are rightly regarded as a Green Manure or a crop that makes soil richer. The plants use the nodules of their long taproots to catch nitrogen which is necessary for its survival as a leguminous plant. The roots supplies with oxygen the soil it breeds in. 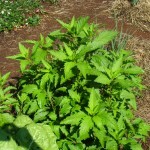 This enriches the soil and makes it more beneficial for other plants growing nearby. Wild varieties of Lupins are poisonous in nature. Both sweet and bitter Lupins contain toxic alkaloids that cause Lupin Poisoning, a nervous condition. It is similar to Neurolathyrism, which is produced from the ingestion of seeds of Sweet Peas. Lupins infected with fungus Diaporthe Toxica can also be very harmful for health. This fungus produces Phytotoxins known as Phomopsins and causes a disease known as Mycotoxic Lupinosis. 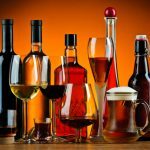 This disorder damages the liver and can even lead to death. Poisonous seeds of Lupin cause death of many sheep and other cattle every year on hill ranges of the western part of America. People owning or planning to own livestock in these areas should remain careful about the possible damages from eating bean pods. It is important for them to check their pastures and find out if there are wild Lupins to avoid liver damage in their cattle. Blue Lupins are also highly damaging to animals. This particular type of Lupin has the highest biomass as well as a lower density of alkaloid substances. 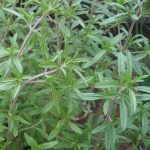 This makes it vulnerable to attacks from pests such as Nematodes. These unsegmented worms can cause damage to the internals of livestock. Lupins have deep taproots which make it highly useful in aerating soil, or supplying it with oxygen. 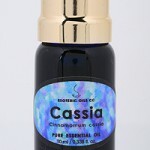 It helps create a better environment for growth and survival of other plants. These are excellent to be used as Green Manures. Planting Lupins in an acidic soil region can prevent growth and spread of weeds. It helps that Lupins can grow in most kinds of soil. In Lupins nutritional value is high. Lupin seeds are high in fiber in fiber and protein. These are low in fat. 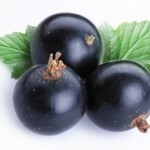 The seeds contain bioactive compounds which are reported to be helpful in preventing cancer and cardiovascular disease. The high protein content of Lupins makes it perfect to be added in protein shakes and bars. Before you try creating a Lupins garden, it is essential for you to know the ideal conditions for thriving of this plant. Lupins require a cool climate to grow. Lupins are suited to cool Mediterranean climate and grow in regions with temperatures under 90 degree Fahrenheit. 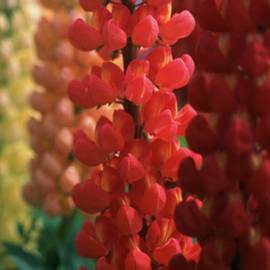 April or middle of spring season is the best time for planting Lupins. Harvesting Lupins take place from late summer season to mid-September. 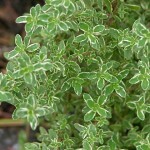 The plant loves well-watered areas and soil with slight acidity. The plant grows best in regions that have coarse, well-drained soil preferably with an acidic value between 6 and 7. That said, these can grow in any area that has loose, light-colored fertile soil. It is best to water Lupins for 10-20 minutes every day. Lupins need direct sunlight daily for at least four hours. 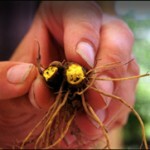 Growing Lupins from seeds can be tough if you are not aware about the proper ways of doing it. Check out these steps to know how to grow Lupins from seeds. 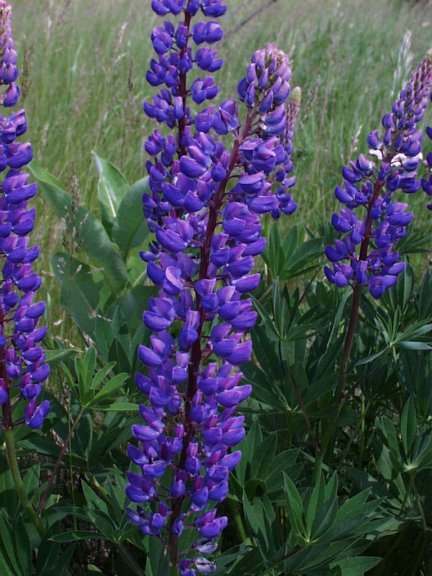 Sow lupine seeds during early spring or autumn. Choose an area that receives sunlight for at least four hours every day. The soil should best be loose, light in texture, a little sandy and with a moderate acidic value. Soak the Lupine seeds in water for a full day before planting. Cut the seed coats slightly before you sow them. Add some manganese into the spot where you are going to sow the Lupine seeds. This will ensure that you get a higher Lupins yield. Plant each of the Lupine seeds a minimum 7 to 10 inches apart. This will prevent overcrowding and provide each plant with ample space to grow and develop. This will also avoid weeds from taking over the plants. Lupines usually grow long taproots while they develop. Do not disturb growing Lupines as it can damage their long taproots. A fully mature Lupine has a taproot nearly 12 inches long. When mature, it is recommended that you harvest Lupines immediately or within the first two weeks. When fully grown, Lupines can be a stunning addition to your garden. These plants need very little care though it is important to nurture it to get the best results. Here are some ways to take care of the plant while it is growing. For Lupins growing from seeds water is very necessary. Lupines love well-watered areas to grow properly. Water the soil everyday for about 10 minutes to keep the seeds moist. On peak summer days, you should water for double this time as the soil can dry out too quickly. In Lupins flowering, it is essential to Deadhead or remove dead blooms. Pruning Lupins promote the growth of new blossoms. Use good pruning shears to snip off the Lupine flowers. It is necessary to Deadhead Lupins after flowering. When the Lupine is in bloom, use a good all-purpose fertilizer to fertilize the plant at least once a month. Aphids or plant-sucking insects are highly dangerous for the health of a plant and unless killed, can destroy your Lupines completely. Use a Soap Spray containing insecticides on Aphids from time to time to keep them in check. The soap must completely envelop the aphids. Lupin flowers belong to the legume family. As aforesaid, these can be of many colors such as white, yellow, blue, red, pink and apricot. Many Lupin flowers are bi-colored and are generally white contrasted with some other color. Lupin flowers generally arise in early summer in shades of white, blue, pink or purple. In Lupins, flower stalks usually arise in late May or early June. These appear annually. The upright flower spikes are typically surrounded by many pea-like blossoms which attract bees for pollination. Lupins can be at risk from a number of plant diseases. Lupines can fall prey to several fungal diseases like Downy Mildew (Peronospora), Rust (Puccinia), Powdery Mildew (Erysiphe) and Root Rot (Pythium). These fungal disorders make these plants brownish-black in color. The roots droop and rusty spores develop on the leaves and stems of the plants. 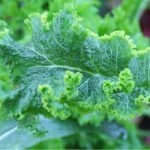 In Downy Mildew (Peronospora), grayish or whitish patches are formed over the leaves. Plants affected with Powdery Mildew (Erysiphe) have a whitish or grayish dusty coating forming on their surface. Lupin plants are commonly affected by virus of the Mosaic and Ringspot variety. Viral infection reduces plant growth, affects development of buds and flowers and makes the leaves yellow in color. Lupines are susceptible to infections from pests like Arden Millipedes (Macrosiphum Albifrons), Aphids (Macrosiphum albifrons) and Nematodes. A Nematode attack is considered highly dangerous as it causes wilting of the foliage and ingests the plant roots. In wet conditions, Lupines are often attacked by different kinds of pathogens. This leads to the formation of spots or blots on the leaves. This is a serious disease caused by a type of fungus known as Colletotrichum Gloeosporioides. The disease commonly affects Garden Lupines and is characterized in the initial stages by the gradual death of the young shoots. The fungus kills the shoots at the tips and later destroys the ones at the larger branches. The leaves turn brown in color and begin falling off. Overhead watering of the plants and rain water can spread the fungal spores more rapidly. If not controlled in time, Lupine Anthracnose can cause death of the entire plant. Spraying fungicides over the plant can kill the microbes in the initial stages. Severely infected plants need to be completely removed to prevent spreading of the fungal infection. Want to know how Lupins look like? Here are some useful pictures of Lupins that will give you an idea about the visual appearance of this plant.